Get Rid Of Cluster Flies!! As everyone knows, flies are a huge nuisance almost every time of the year, but cluster flies cause a lot more problems as autumn becomes winter. They seem to always be looking for shelter from the colder weather. Once they have found a warm home they will start to ‘settle down’ for the winter period. Cluster flies are a lot larger than house flies. They are coloured as slightly yellow or golden because they have tiny little hairs. They breed in soil and host on earthworms during the larva stage of their development. Similar to many other insects, they move inside for the cold winter months. How do Cluster Flies get in your home? Although they leave after the winter period, they have been known to return to prevues places, which will lead to an annual infestation. Firstly, cluster flies don’t have a direct health risk towards humans, but they definitely can be a nuisance. They travel around in large groups of up to thousands of flies. Whilst they hibernate over the winter time, their excrement can give of a very bad smell and they can also stain fabrics and walls. Cluster flies are a very large problem for your home and other properties that are infested. This is especially for the food industry! They can contaminate food and also spread diseases. If there is any food around your house you have to ensure that all of it is stored away from the pests. If you do not follow this step, you could face repetitional damage if customers see flies flying around your premises. In addition to all of this, you can be fined and even be shut down on health grounds. A pest control technician has access to more effective insecticides and equipment. Normally they will carry out an inspection of the property and suggest the best method of control. Most people may think it is very easy just to swat and kill cluster flies, but that is not the case. You first goal should be to prevent them from even gaining any list access into your house or property. There is many different ways to make your home to property fly free or fly proof. Firstly, it is a obvious way, you should keep your premises enclosed by keeping all windows and doors shut. Cluster flies are very attracted by sunny spaces, so you should use curtains or blinds to block out any lights. If these to ways keep your house hot etc and you want some air, you could use fly screens so that you are able to open you windows but still prevent them flies. If there is already an infestation, you will need to take immediate action. A pest control technician has access to more effective insecticides and equipment. Normally they will carry out an inspection of the property and suggest the best method of control. You will have to fix any leaks in taps and blocked trains in which water can gather. Flies need moisture in able to multiply. Every single type of food can attract flies and encourage them to lay eggs. All food should be covered up. Keep all bins, sinks and food areas clean. Fit fly screens, keep windows and doors shut at nights. Remove any bird food in the feeders before night time and always keep the feeders clean. Eliminate clutter inside your house or garden. Any messy areas can be a potential breeding place for flies. If there is already an infestation, you will need to take immediate action. 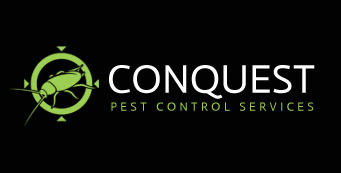 A pest control technician has access to more effective insecticides and equipment. Get rid of pigeons asap! Pigeons are often compared to other pests like rats. They are very adaptable to human environments. Buildings in the UK are very good for providing excellent roosts. Also our crops that we grow and all of the food waste we have, gives a great source for the pigeons to eat. Before you try and kill or remove a pigeon by yourself, you need to know that they aren’t like any other typical pest. Pigeon control requires expert pest controllers, that know what there doing. There is no simple way to be able to remove pigeons from your property. Whether you are an expert at doing DIY or just simply wanting to know how to get red of pigeons, read below. Histoplasmosis: This is a very rare fungal infection caused by inhaling pigeon dropping dust during routine cleanings. Cyptococcosis: This is another fungal infection caused by contact with pigeon droppings. Its very rare to contract this from pigeons, but if you suffer from auto immune diseases you should be aware of this. Psittacosis: A bacterial infection that may be transferred from pigeons to other birds and also to humans. There is one main problem with pigeons, the parasites, they feed on pigeons and their young. When a nest is left, the mites (parasites) will start to scatter and infest the area around them. They will also end up biting humans as they look for another blood host. If you have a pigeon problem make sure to Call a pest control service as soon as possible. Ticks are very very dangerous. if you get bitten by a tick they can transmit diseases like Lyme disease. In the UK there is lots of countryside and rural areas. This means ticks have a very well established population. Ticks are small arachnids that are parasitic. This means they feed on blood of animals and even humans. They have a flattened oval shaped body before feeding. After feeding they have a rounded body. Immature ticks in the larvae have 6 legs. Any area that has vegetation, thick and tall grass is the perfect habitat for ticks. If you do have any pets you should make sure to keep them away from these areas so they do not get prone to having ticks. Ticks give bites. They look like a red bulls-eye, though this doesn’t have to be seen in order for Lyme disease. If you do have this you should seek immediate medical attention. Ticks transmit hundreds of diseases that can be deadly. These UK biting insects are a very big nuisance, mainly when the warmer weather arrives. They like it when it is warm but damp. Mosquitos will mostly be around from april, then annoy all us humans for about 6 months. Mosquitos are small flying insects that are around 1/8 of an inch long to 3/9 of an inch long. They have very small heads with large eyes. They have a throat, abdomen, two wings and 6 legs. They are normally greyish brown to black with white, green or blue markings. When you are bitten by a mosquito it will often be a soft bump on the skin which is often red. They are incredibly itchy and the symptoms can last up to 48hours. Midges or gnats are very spiteful and give a painful bite. The bites becomes very itchy and gets very swollen. Midges use co2 to find someone to bite. Midges pick up c02 from far away so use insect repellent when doing physical activities. Want to prevent wasps? Look right here! Getting rid of them unwanted bees! Identifying many types of bees! Are Cockroaches An Issue In London? Where do wasps go during the winter months? Have you found Rat droppings in your property? What do you do?